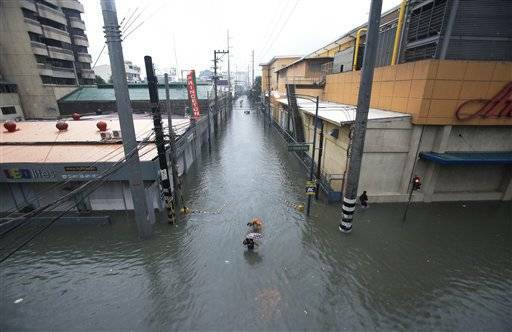 The recent typhoons quite brought havoc in some parts of Luzon flooding 60% of Metro Manila and while August is a regular typhoon – inflicted month, the flood control in most parts of Metro Manila and other urban cities has become a perennial problem. In the recent news update of PhilStar.com, over 600,000 families are affected, at least 7 are dead and 11 are injured and 4 are missing. Schools are oftentimes used as evacuation centers and when schools along other establishments are flooded, nothing can be done except to wait for external help. And, in the times of difficulty where natural disaster happen unexpectedly causing deaths / property damages, the unaffected community can only respond to help. The local governments of Quezon, Cavite, and other flood – affected areas are calling upon generous individuals and organizations to help the affected.